Hello dolls!! I hope the week has gone well for you so far!?! Had to take a slight break because I got struck with bad migraines as some of you will know that follow me on Instagram. But, today I wanted to share some beauty products that I bought in December last year while I was on a little break. I decided that I wanted to work more natural products into my self-care routine and small business where possible. And of course all of you will know how much I love unicorns, so these products won't come at a surprise as to why they peaked my interest. 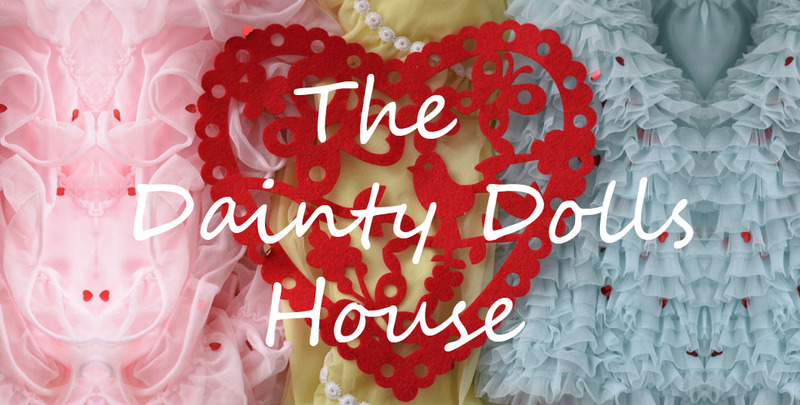 I follow a lovely small business on Instagram called Dreamy! All her products are handmade, vegan and cruelty free. 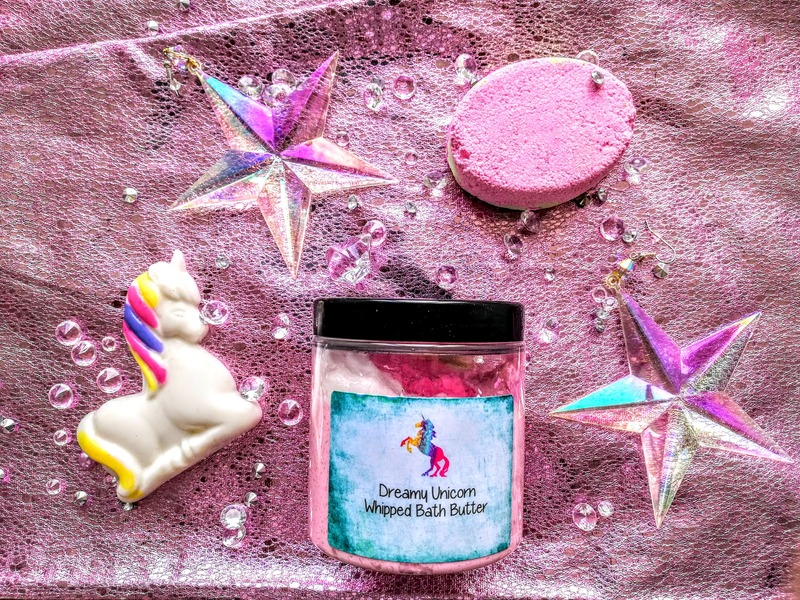 I was unsure what to try seeing as it was my first time ordering, so I just chose a gift set type option, which included the Unicorn soap, bath bomb & whipped sugar scrub. Everything is made to order, so it came within 3-5 days, everything was packaged so sweetly and I appreciated the extra gestures of sample products, which were the watermelon soap, vanilla scrub and bath fizzers which all smelled delicious! I tried each one, one at a time because my skin can be sensitive to certain bath products, but to my surprise everything was gentle on my skin, I wish you could smell them through your computers because each product's fragrance is so gorgeous, I was really impressed, also by the fact that none of them are over-powering or give me headaches like strong scents do. 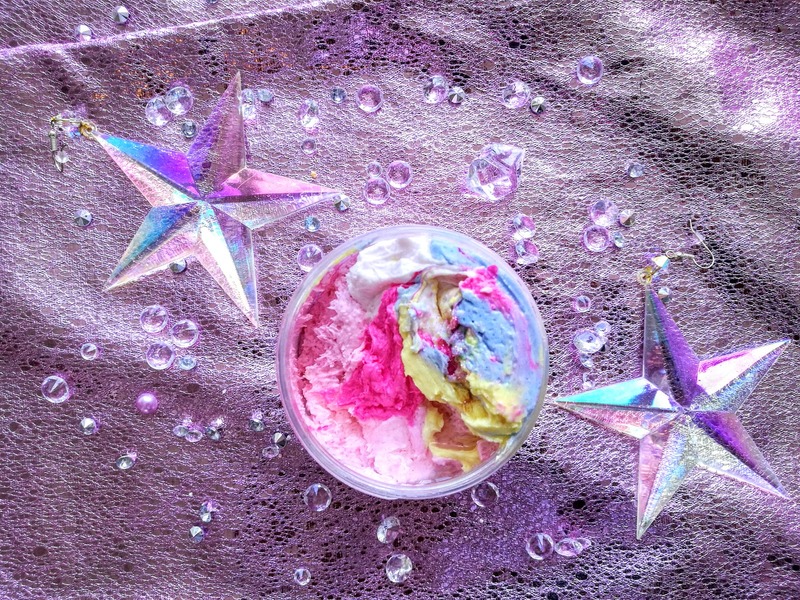 The whipped sugar scrub was so fun to use, it has glittery bits in it, that glimmer on the skin - but don't worry, it rinses with the water, though a little was left on my skin, but I loved it. It contains Vitamin E oils, so the skin is so soft after using. 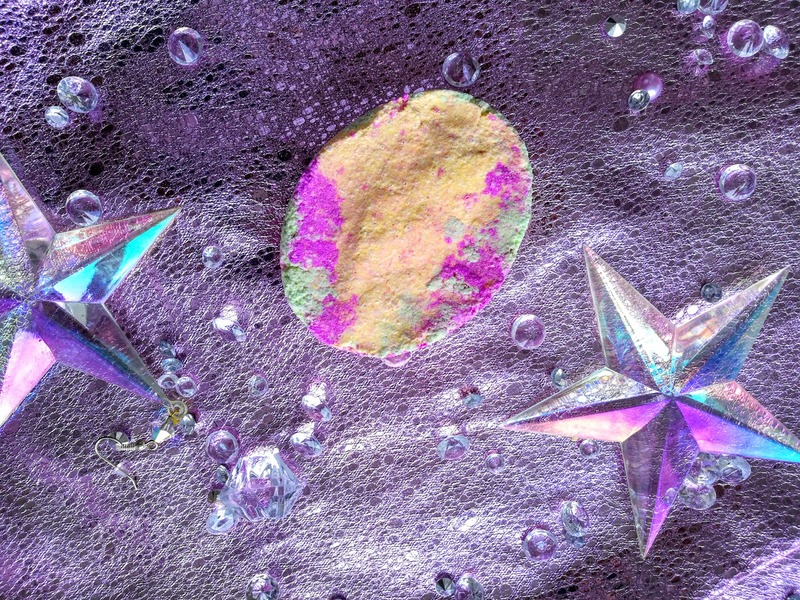 The bath bomb leaves you with a shimmery bath, so you feel like a unicorn bathing with the mermaids and it's gentle and feels like silk on the skin. I loved it a lot. The only thing I wished was it was grittier because I am a freak about scrub and practically like it tearing my skin off, but not everyone likes that, so this is perfect for those lovelies. But, to be honest, that doesn't put me off buying it again because I enjoyed it's scent and it's too pretty not to! My verdict - After having used all of these products over a period of time, I would buy them again. It's evident that a lot of thought and care has gone into them. Someone who enjoys making and creating and cares about natural bath & skincare. These products were fun, original, smelled amazing and if I could have eaten them, I would have, haha! Like seriously ;) I think it's important to care about what your putting on and in your skin, so next time your in the mood to treat yourself, check out Dreamy!! You can find Dreamy - Handmade Bath & Skincare on Instagram & Facebook, a new website will be rolling out shortly, so keep tuned - ships worldwide!! I hope you have a great day lovelies. Ooh the soaps look and sound wonderful! I have to check out the site and Instagram for this store. Thanks for posting about these cuties!! 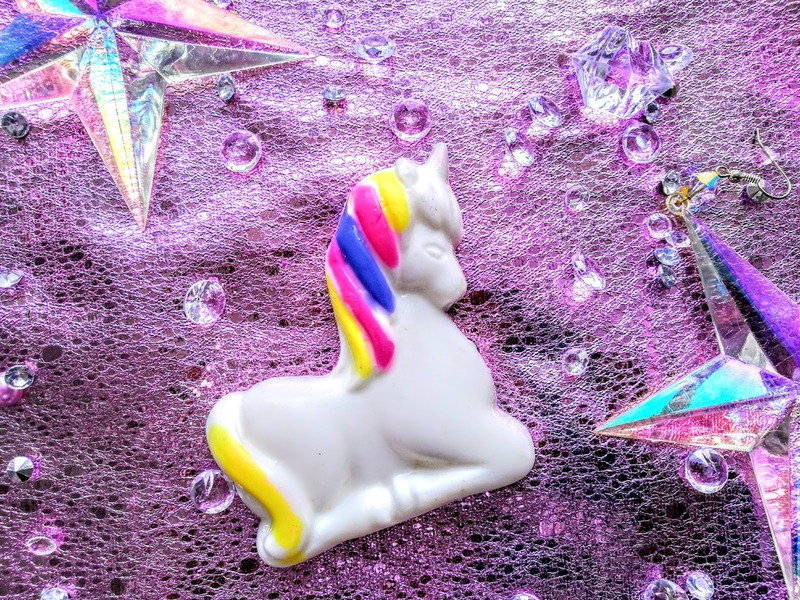 oooooh the unicorn soap!! I love it, I wish I could try it as well! I love a sweet smelling scrub and the whipped sugar scrub sounds delicious. Enjoy! This handmade bath skincare sounds dreamy! That bath bomb in particular seems pretty amazing. Have a lovely evening! These look good enough to eat! I can totally tell by the photos that these skincare products smell delicious, too. 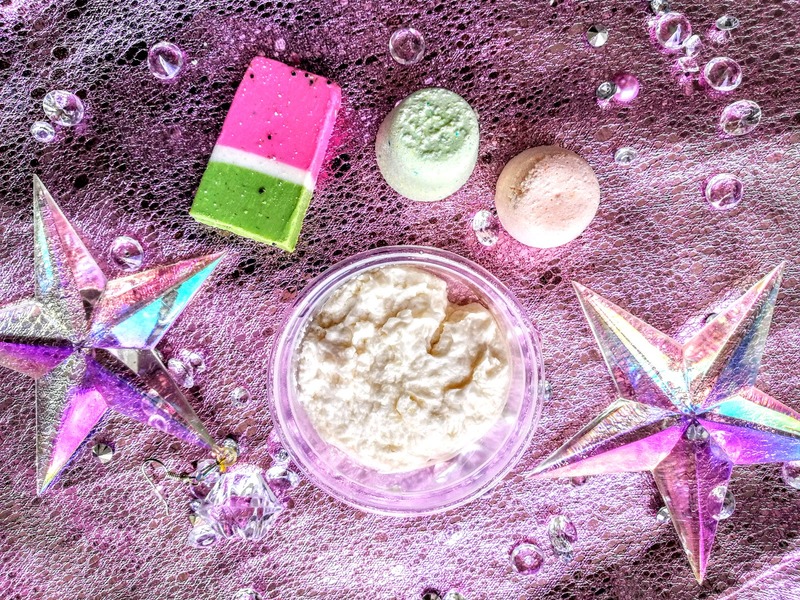 These bath products look just magical! What a lovely addition to your bath! I wish I could smell them as I'm imagining they're absolutely delicious! these products look amazing, and so nice they're made by a small business!, lovely! I am glad you are feeling better, doll! Everything looks so edible. I can only imagine how good they smell. Being all natural, chemical, and cruelty free is a big plus. Oh how fun and beautiful! All bath products should be lovely to smell and whimsical like these!